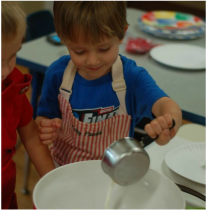 Polly Panda Preschool and Bridgford Kindergarten is a Paths to Quality provider. Our staff is trained in First Aid, Universal Precautions and Infant/Child CPR. We believe children should have fun learning that's why our teachers work hard to plan special, educational activities for all our children, infants through Kindergarten. Each day parents receive an activity report outlining your child's day. Each month we post the current curriculum online as well. 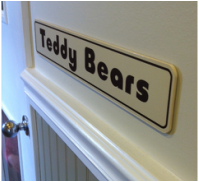 Polly Panda welcomes children 6 weeks to 12 months old into our Infant program. We use safe sleep practices and have a 4:1 ratio in our infant classrooms. Our play-based learning allows children to develop four main areas of focus: Body Awareness, Music Appreciation, My World and Life is Interesting. ​Our Toddler program is the perfect place for children ages 12 months to 24 months to grow and learn both cognitively as well as physically. Each day we incorporate developmentally appropriate math, science, language arts, reading and music activities. 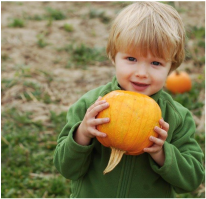 Our 2-year olds spend the day participating in all types of learning through play-based activities. Weekly lesson plans are created with fun-filled hands-on activities designed to help the students grow and learn. Children go outside every day when weather permits. 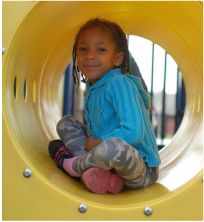 Beginning at age 3, children are enrolled in our Preschool program. They spend their days learning through child-centered activities and enjoy thought-out educational programs. Lessons include language arts, math, science and health. We believe in not only educating a child's brain, but also his or her self esteem, that is why we always use positive reinforcement. Polly Panda Pre-K students enjoy a day full of learning and adventure. The day starts with free play where children can choose their activities, followed by circle time, which engages the children in group educational activities. Pre-K students also take part in multiple daily learning centers as well as gross motor skill activities.